A Clinical Social Worker with over 25 years of experience working with adolescents, adults and families impacted by trauma, mental health and life stage adjustment issues. 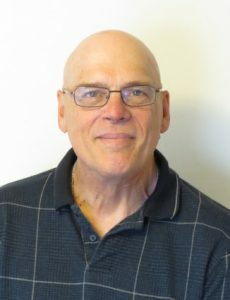 Has had a wide variety of training and experiences through his career in community counseling, family services, outpatient mental health and hospital settings. Has extensive training in family therapy, person centered, cognitive behavioral, solution focused therapies, motivational interviewing, and EMDR therapy. The decision to seek help from a trained professional is a major one. I believe that it is critical that the relationship between the person(s) seeking assistance and the therapist is one that is collaborative, results oriented, and based upon mutual respect throughout the treatment process. I draw upon my extensive training and expertise to provide services which are evidence based, solution focused, strength building and are tailored to meet the unique needs of each individual, couple, or family that I work with. Post Traumatic Stress Disorder and Adjustment Issues, Anxiety, Depression, Divorce/Separation, Family and Marital Conflict, Grief/Loss, Life Stage Issues, Mental Health Issues, School/Work Issues.